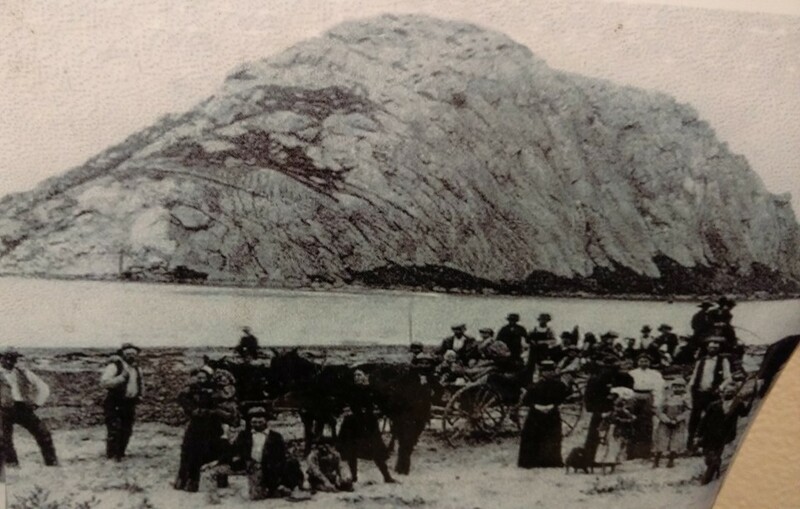 This old photo was taken from the Black Hill area of Morro Bay which is now part of Morro Bay State Park. Many of today's modern roads did not exist. Many of the trees that founder Franklin Riley planted were small but growing. If you walk the Black Hill trail today you still see an amazing view of our community and Morro Rock! Join Historical Society Morro Bay to help preserve our past. Check back soon. We are adding content to this new website often! 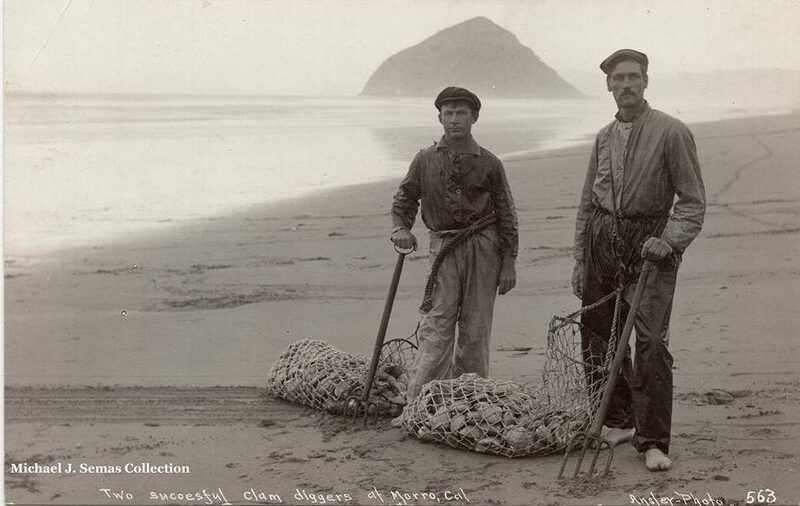 This photo of two men spending their day clam digging in Morro Bay during low tide was taken in the early part of the 1900's. The men are approximately where State Park Road is today below the Natural History Museum. Fishing, clamming and oyster farming are part of our deep aquatic history! 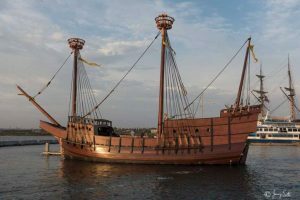 The new/old San Salvador, replica of Cabrillo's galleon that sailed past the Morro Bay coast in 1542. 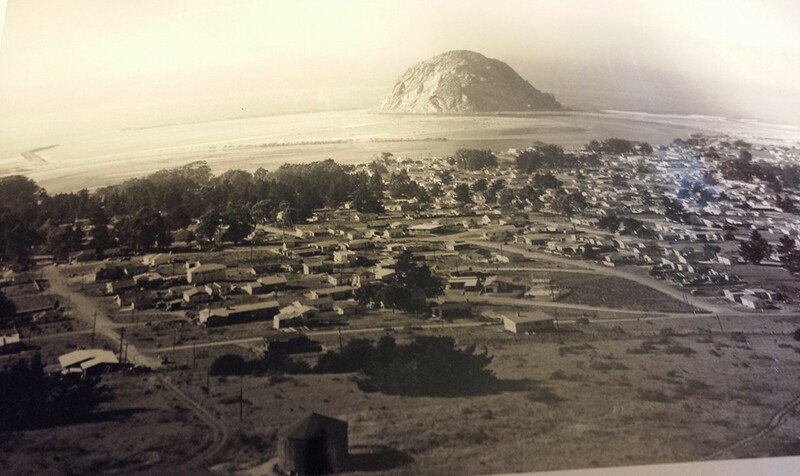 This is an old photo of Morro Rock taken prior to it being quarried. You can see the southern section clearly had a slope without the dramatic drop that is there today. We are fascinated by the history of our community!